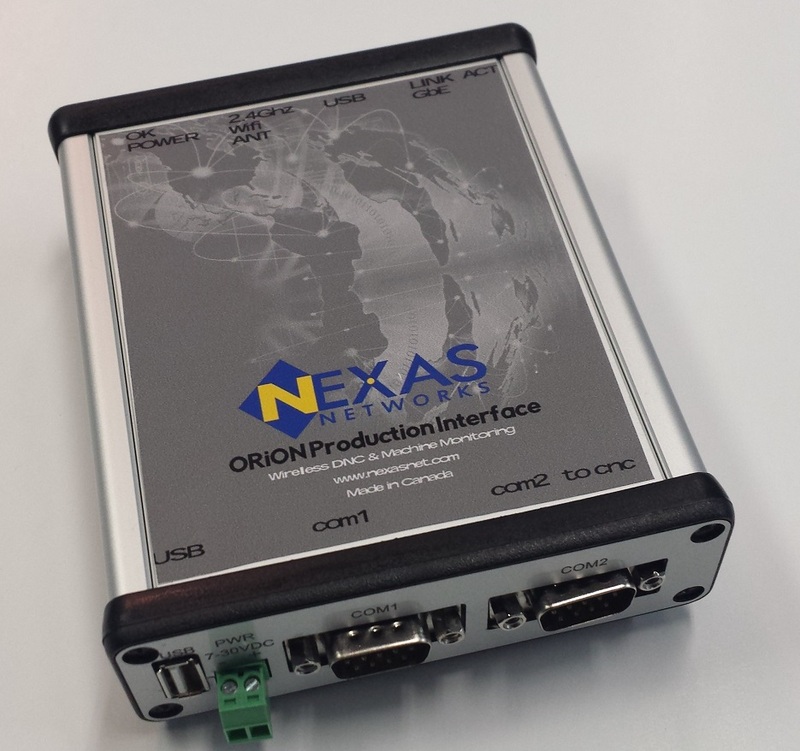 We offer this Quad Core 64 Bit Linux ORiON Production Interface (OPI) 3.0 Unit that can be installed in most CNC machine tools to enable wireless networking for DNC file transfer & monitoring. The Green Light System is an OPI-based monitoring system that can be expanded to handle DNC, user input & spindle monitoring. We also work with other MDC systems as an edge device. 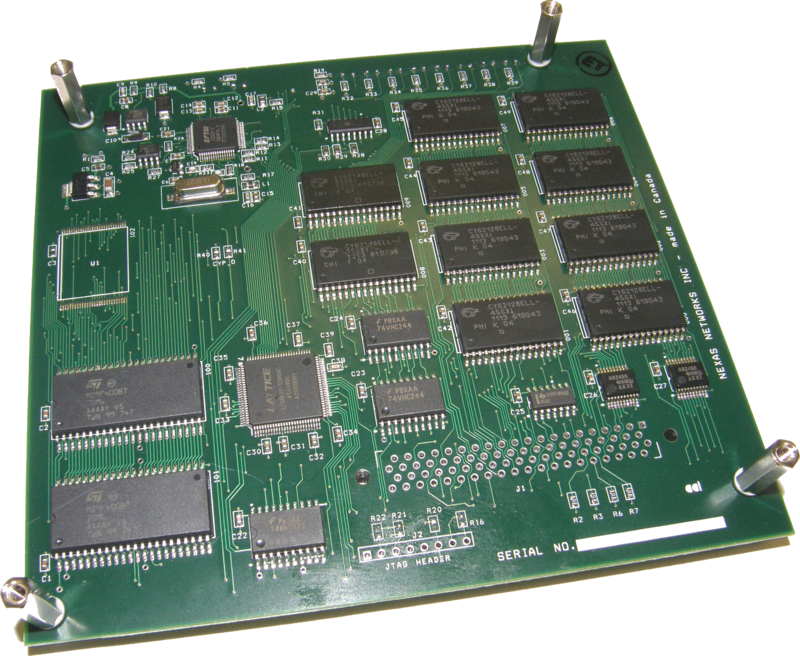 Maxmize you CNC memory with Nexas upgrades for almost all of your Fanuc & Yasnac controls. Reduce setup time and save money with a memory upgrade today. 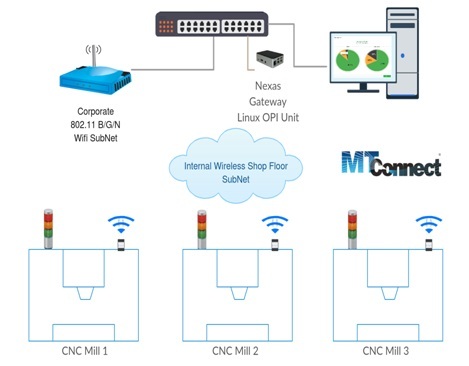 The Nexas OPI Unit is designed to be connected to most CNC machine tool controllers to enable wireless DNC and machine monitoring. The current version, called the OPI 3.0 allows for Gigabit Ethernet, dual serial ports and a bar code interface. An OPI 3.0 has also been made for a special application related to automated tool offset loading with a USB barcode reader. As well, the OPI can also work as a CNC network bridge. In that mode the CNC Ethernet port goes to the OPI LAN port, which then uses the OPI's Wifi connection to bridge to the corporate part program server. This OPI network bridge feature is useful for modern CNCs that have LAN network connectivity, but not wireless (e.g. Fanuc, Mazak, Haas, Yasnac, etc). The OPI Gateway can be act as a local internal data server, bar code interface or a Gateway Relay. The Nexas Green Light System is a simple technique to monitor the normal stack light production signals (or equivalents) - namely InCycle (Green), Idle (Amber) and Alarm (Red). Our Nexas "Tool Power Sensor" soon to be available, will allow us to add Tool Life Management to the Spindle Utilization data that can be collected. The OPI unit can also be used for DNC file loading and at the same time leverage the 8 optically isolated inputs to achieve this real time monitoring. Our goal is a simple economical MTConnect adapter that enables all your legacy machines to be compatible & online. The OPI Gateway acts a data hub for multiple OPI Units (one in each machine tool). This Gateway can be act as a local data server (for browser support in the plant) or as a Gateway & Data Relay to a our Cloud Server for secure IIoT applications. The Nexas leadership started over 20 years ago with Fanuc CNC Memory Upgrades and helped design and install the other controllers like Yasnac. We still have memory upgrades for all the Fanuc 6, 9, 10, 11,12, 0,15,16,18 etc controls, and even have BTRs (Tape Reader Replacements) for the older Fanuc controllers if needed. That said, we are the only company servicing the Yasnac J300 with a Memory Upgrade kit. We handle the Yasnac MX/LX1/2/3, i80 and J300 as well. We also supply many other upgrades for the CNCs on your factory floor with leading edge products & service. Add more capability and reduce setup times with the legacy memory upgrade that you always wanted. Call us before you call the OEM or even the Dealer. Call our Nexas Sales line today at 905-581-3718 to learn about ways to optimize your factory floor with our IIoT - Industrial Internet of Things - technology. Note we are moving August 1, 2018 to the new address below. E-Mail and phone numbers will stay the same. Nexas has DNC solutions for almost all the machine tool controllers out there - including Fanuc, HAAS, Yasnac & Siemens. Other controllers we have connected to include Mazak, Heidenhain, Amada, Milltronics, TRAKs, Mitsubishi, OKUMA, GE and a host other names. Our primary discrete manufacturing markets are aerospace, automotive, job shop & production shops - with wood working and many other miscellaneous industries that use machine tools also in there. We even have DNC firmware upgrades for Fanuc 0 controllers (if the OEM didn’t enable DNCI) and Fanuc 3 controls unique so that they can drip feed programs in. Most of the custom protocols we have embedded into our older DNC software, but so far we have only the Fanuc, Siemens, FOCAS, MTConnect and Mazak CMT in the OPI. We do not have the Heidenhain FE1, FE2, EXT or LSV2 embedded in our OPI yet, but we are working on it using TNCRemote as our base. The principals of Nexas have been in the DNC market for over 25 years now and worked with many partners, Today we are moving into the Machine Data Collection (MDC) field with our latest OPI V4 model. It has 4 analog inputs to capture machine condition information (like a stack light) and pass it up to a database and dashboard. At the moment do some reporting ourselves, but for more elaborate systems we partner with other software vendors to make this happen. Our Node.js based OPI boxes are designed however to supply data to any system with JSON or XML based MTConnect. © Copyright 2019 Nexas Networks Inc.